Week 6: Ka-Chow - Week 6 - A movie or song title. I spent most of the week just trying to decide which movie to create a photo for and what that photo would be. 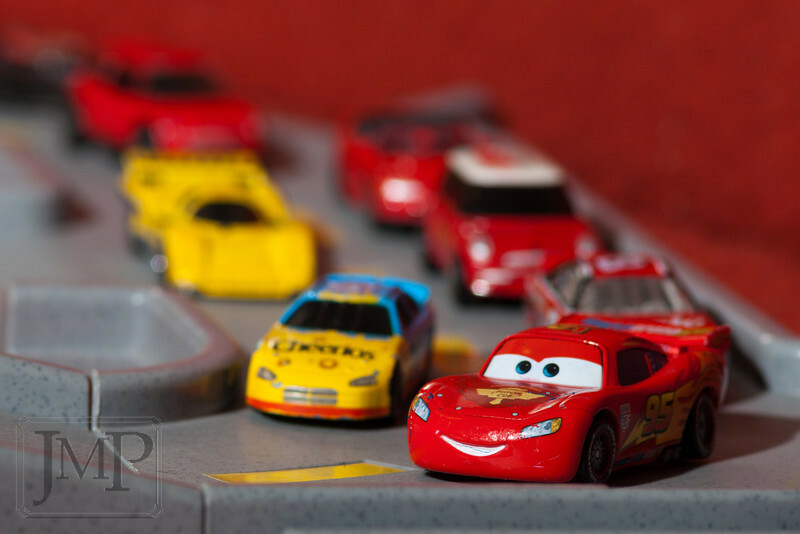 James has been newly playing with these toys and especially Lighting McQueen, so when I saw "Cars" in our Netflix Queue I knew exactly what I need to do. For the hard light I used my pack strobes with a snoot on the main light and fills bounced off the wall to camera right.